Anybody up for a pear and gorgonzola pizza? Or would you prefer a good ole’ traditional pepperoni pie? Just head down a back alley, off Pennsylvania street, in the heart of downtown Indianapolis and you’ll see the black awnings tucked among the brick walls. Walk in, take a seat, look at the menu, and chances are you’ll find the exact pizza pie you crave. Pearl Street is a hidden gem. Pearl Street Pizzeria & Pub has been around for about seven years. “Keeping it local. Focusing on flavor” is the motto. It’s easy to see it lives up to that motto. 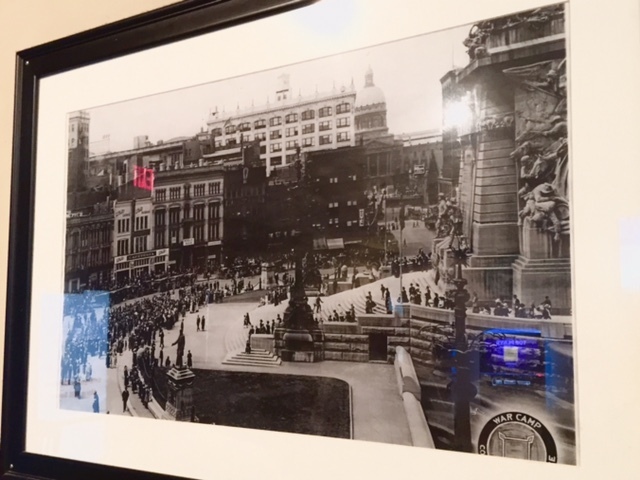 Black and white framed photographs of Hoosier history lining the walls at this local spot. The dining area is spacious with wood floors, several tables and a bar that just about stretches across much of the restaurant – where they serve up a wide selection of craft beers. 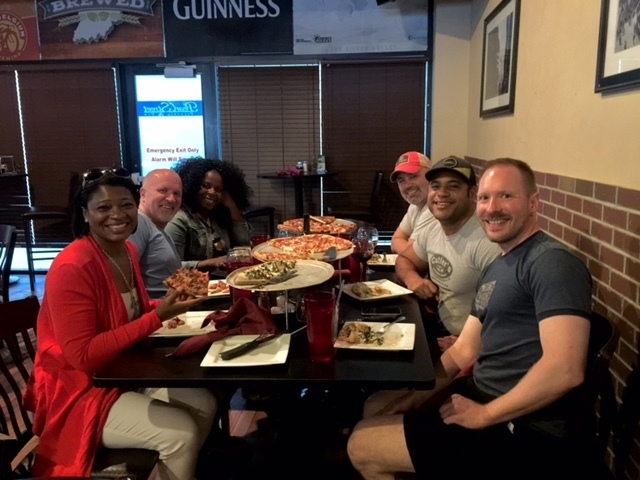 Pearl Street offers a cozy atmosphere to grab a pizza and a few laughs with friends, and a good spot to watch sports on several TV monitors in the bar and dining areas. Our server told me Pearl Street’s most popular pizzas are a toss-up between Stuffed Portobello mushroom, Hawaiian, and barbecue chicken. My friend Coop likes to spice it up -- he’s a big fan of the barbecue chicken pizza with smoked ghost pepper jack cheese. There’s a variety of handmade specialty pizzas like chicken Alfredo pizza, mad Greek, Quattro Formaggio -- which is a pizza with olive oil, garlic, asiago, mozzarella, parmesan, and ricotta cheeses topped with fresh parsley. There were six in our group and we ordered three large pizzas: a meat lovers deep dish, a pepperoni hand tossed, and my friend Troy insisted we try the pear and gorgonzola pizza, which consists of olive oil, Bartlett pears, fresh arugula, gorgonzola and mozzarella topped with a drizzle of balsamic glaze. I wasn’t sure I was going to like fruit on my pizza, but it was really tasty -- not an overwhelming pear taste. Still, I’m more of a meat lovers pizza kind of girl. The meat was piled on top of a deep-dish crispy crust, with a zesty tomato sauce and plenty of gooey cheese… it was delicious and well worth stepping off the beaten path! Learn more about Pearl Street here. Visited Pearl Street? Tweet me your thoughts and photos to @ErickaFlye.